Tata is now entering the compact SUV segment with its current work-in-progress Osprey car model. Tata’s new Osprey compact SUV which is going to be launched in India next year shall straight away take on likings of Ford’s very popular EcoSport SUV and Mahindra’s compact SUV – TUV300. Osprey is the codename which is internally used by the company. The price of new Tata Osprey is expected to be between Rs 6 lakhs to 10 lakhs and will be launched in late 2016. Also, full details of Tata Osprey compact SUV is not known yet. All we know is that Osprey SUV is based on a platform that hosts Tata Motors’ popular Zest and Bolt. The upcoming compact SUV from Tata Motors gets the 1.2-litre petrol Revotron engine as well as the 1.3-litre Multijet engine which is supplied by Fiat. Sources suggests that there will be a diesel version of the car with an AMT ( Automatic Manual Transmission) gearbox just like that of Tata Zest. Tata could surprise all of us by offering 7 seats – just like how Mahindra did it for its TUV300. 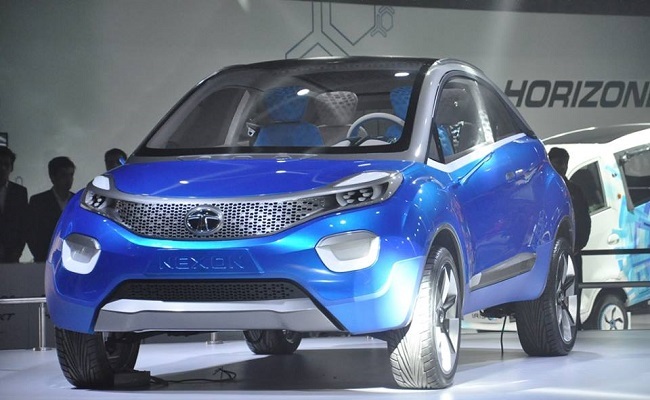 You can expect Tata Osprey to be based on Nexon concept which was first showcased at 2014 Indian Auto Expo. This compact SUV from Tata Motors gets styling features like tailgate mounted spare wheel to make it look more tougher and aggressive. Expect the Tata Osprey to be high in terms of space on the insides and high in terms of the kind of gadgetry you get in terms of the infotainment system. Although the Osprey is still in prototype stages, we expect to see some test mules up and about in the next few months. The price of new Tata Osprey is expected to be between INR 6 lakhs to INR 10 lakhs and will be brought to India during late 2016.